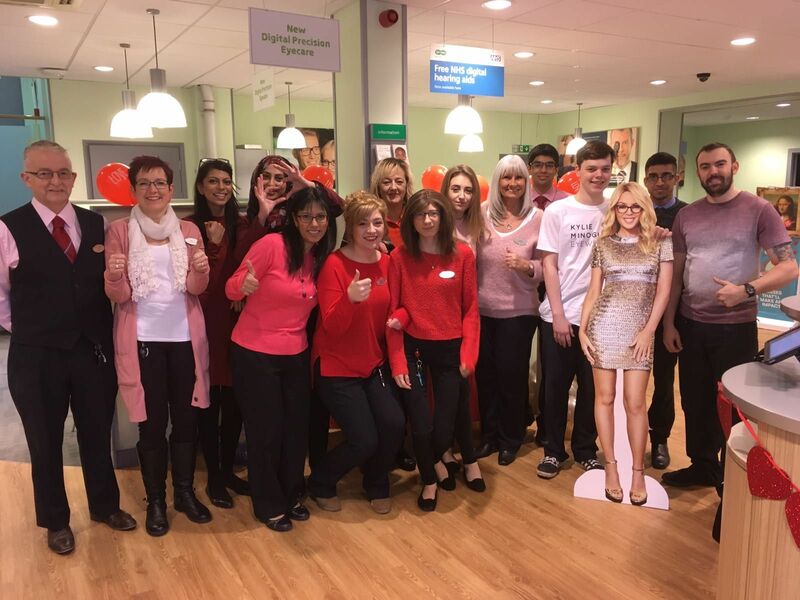 Specsavers Dunstable staff dressed in red on Valentine’s Day, raising £60 of vital funds for the British Heart Foundation. Customers at the store were treated to a delightful array of baked goods, along with customised chocolates in return for a donation to the charity. The store also launched the Kylie Minogue designer frames that same day, which are exclusive to Specsavers stores nationwide. The range is a stunning combination of elegance and edginess, the collection features 25 glasses and five prescription sunglasses.